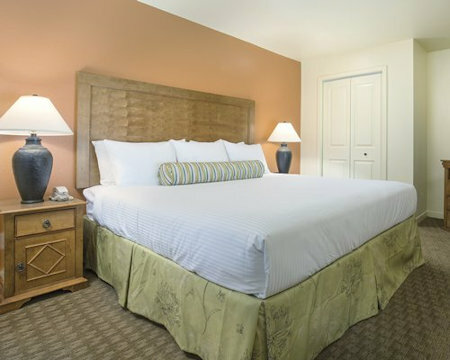 7 Nights in a 1 Bedroom Suite at Worldmark Las Vegas - Tropicana in Las Vegas, Nevada! Wyndham/Worldmark Las Vegas - Tropicana in Las Vegas, Nevada - Bid on a 7 Night Stay in a 1 Bedroom Suite! 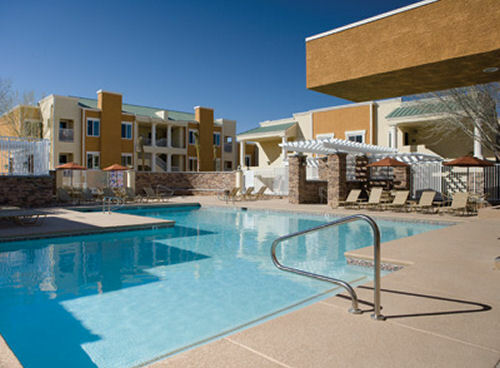 Enjoy 7 Nights at the Wyndham/Worldmark Las Vegas - Tropicana in Las Vegas, Nevada! 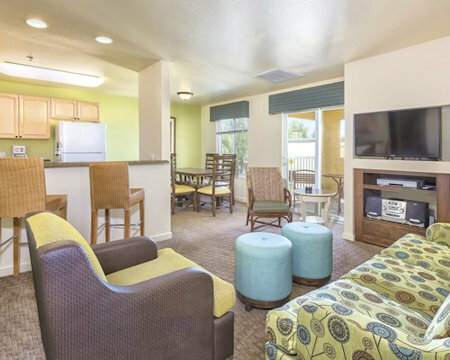 Wyndham/WorldMark Las Vegas-Tropicana offers easy access to "The Strip" while set in a quiet neighborhood 2.5 miles away. The location is perfect for those who prefer a more tranquil resort experience. If you choose to venture out, a shuttle will take you to "The Strip" where you can explore themed hotels, take in a show, or wine and dine in countless locations. Beyond "The Strip", hike the vermilion sandstone of Red Rock Canyon, go canoeing in expansive Lake Mead, or picnic atop Mt. Charleston. In Las Vegas, the choices are many and the pleasures are endless. In addition to the casino action and world-class dining, Las Vegas offers a wealth of entertainment opportunities designed to dazzle you and your family. Take a thrill ride on the Big Shot the Stratosphere's thrilling 180-foot free-fall ride. Watch Cirque du Soleil or take in a magic show. Take a walk along Fremont Street, the second most famous street in the Las Vegas metropolitan area after the Las Vegas Strip. Nature lovers can also hike in scenic Red Rock Canyon, take a riverboat cruise on Lake Mead, and learn about the Hoover Dam. Tee off at one of the many nearby golf courses year-round. 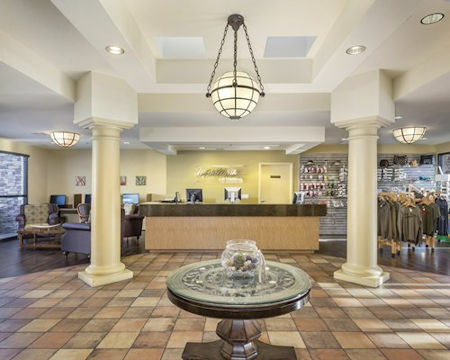 Lovely, fully-furnished accommodations welcome you with stylish decor. The resort is perfect for vacationing families or couples enjoying a getaway. Relax in spacious, air-conditioned comfort. 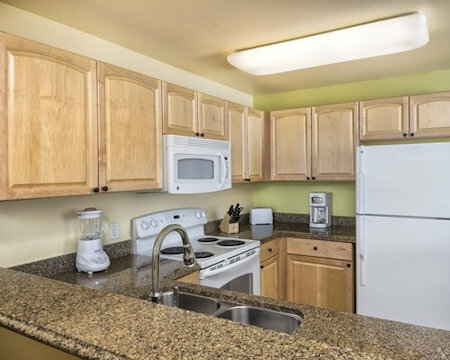 All accommodations come with full kitchens that include a microwave, dishwasher, and washer/dryer. All units have a fireplace and a patio/balcony as well. 1 BEDROOM SUITE: sleeps up to 4 adults and has a full kitchen. Sleeping arrangements include a Queen bed and a Queen Murphy bed. * A credit card imprint is required at check in. There are stairs to access units. Resort does not offer daily or mid week housekeeping services. Pets are not allowed. Units are non smoking. There are no 2 bedroom units with handicap access to the resort.